Russian science is amazing. So why hasn’t it taken over the world? 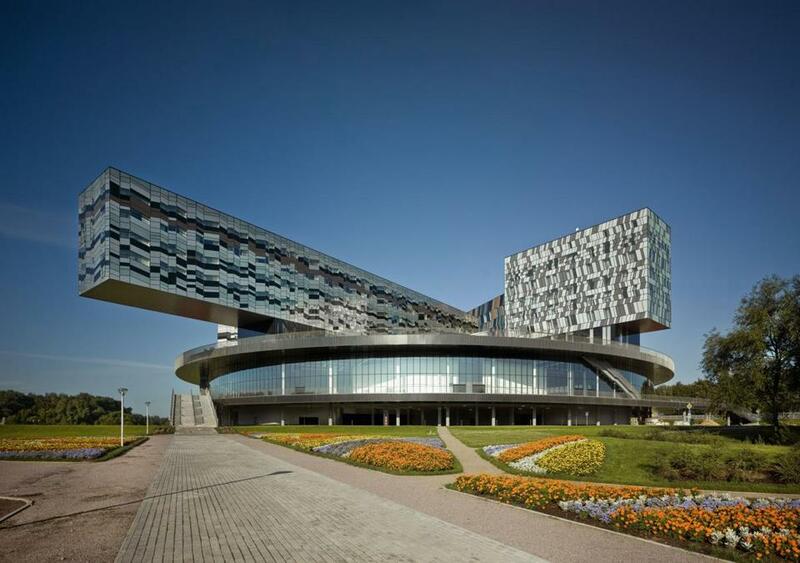 The Moscow School of Management in Skolkovo. The dramatic collapse of the Russian ruble last month cast a stark, unflattering spotlight on the economy of one of the world’s most important countries. In recent years Russia has become almost a petro-state—a nation of roughly 140 million people, many of them highly educated, whose wealth comes mostly from the blunt-force industries of resource extraction, and whose economy rises and falls on individual fluctuations in the price of oil or natural gas. When the price of oil started to slide, the ruble was suddenly vulnerable. Other growing nations, like China, India, and Brazil, have diversified, building wealth from a wide base of technology and manufacturing. You can see this as you walk down the aisles at your local Best Buy, where the shelves are stocked with computers made in Chengdu and hard drives from Thailand, and again when you drive down the street, alongside cars made in Germany and Korea. But Russia has thrown off no such great global technology products. It’s unthinkable that you’d seek out a Russian laptop, or make a call on a Russian cellphone, or watch a movie on a Russian flat-screen TV. The MIT science historian Loren Graham has spent years trying to understand how this possibly could have happened. What makes it so startling, Graham says, is that Russia isn’t a technology backwater—in fact, Russian scientists have been responsible for some of the most important scientific advances of the 20th century. Among their achievements, they invented lasers, did pioneering work on computers, and even came up with the idea of fracking—all of which were later developed and commercialized in other nations. The ongoing inability to turn ideas into commerce has proved to be a profound problem for Russia—and ultimately for the rest of the world as well. The longer this massive nuclear power is economically dominated by resource oligarchs, rather than a stable, independent business sector, the longer the developed world will have to put up with it throwing its geopolitical weight around in unpredictable ways. Today, Russia’s leaders are starting to acknowledge the importance of this economic gap. In his annual State-of-the-Union-style address, delivered in early December, Vladimir Putin declared that it was imperative that the country he has led for the past 15 years break its “critical dependence on foreign technology.” So far, efforts have largely taken the form of centralized initiatives, including one in the city of Skolkovo, which Kremlin officials have been trying—with the help of MIT—to turn into a Russian version of Silicon Valley. What Russia has given the world. Before a visit to Russia after the publication of his book last year, Graham spoke to Ideas by phone. IDEAS: How would you describe Russia’s relationship with technology? GRAHAM: There’s an amazing thing about Russia—I don’t know any other country that displays this characteristic—and that amazing thing is that for over 300 years, they’ve had wonderful technical and scientific ideas, and yet, they get almost no economic benefit out of them. They cannot translate ideas into commercial products. GRAHAM: I think Russia makes the mistake, and is making it right now, and has made it for a long time, of thinking that the secret to modernization is the technology itself. So they keep going after the technology—they’re doing that with MIT right now in Skolkovo. They think that if they can get the latest big thing, the latest new technology, that they’re in like Flynn. But actually it won’t do anything for them, because the characteristics [of] a society that are necessary for commercial success in technology do not exist in Russia—and those characteristics are social and legal and political and economic. The political leadership fears strong entrepreneurs who get rich because they fear that they’ll be competitors. IDEAS: You’ve been studying Russian science for over 50 years. Have you heard this complaint from Russian scientists for a long time? GRAHAM: I often heard Russian scientists say, you know, “All my good ideas get robbed! You Westerners steal them from us!” But there is, in the Russian scientific community, the belief that business is dirty. And that you should not demean yourself by stepping out of the world of ideas...and in Russia this is reinforced by the fact that there is a lot of corruption and so, to go into business is, in an intellectual’s mind, the same as getting into the dirty realm of crime, corruption, and wheeling and dealing. IDEAS: Do you have a favorite example? GRAHAM: A beautiful example is the laser. The laser is fundamental to our modern economy. We all use them—we use them in our cameras, printers. Everyone uses lasers all the time. But the laser is a fairly new technology—it was developed in the ’50s and ’60s, and two Russians got the Nobel Prize for inventing it! There was an American [who received the Nobel] too, Charles Townes—but two Russians, Alexander Prokhorov and Nikolai Basov, got the Nobel for it. Now, let’s ask, who is making the money off lasers today? There isn’t a single Russian company selling lasers on the international market that has any significance at all. Charles Townes, meanwhile...as soon as he developed a laser, even though he wasn’t a businessman—he was your typical physics professor—he said, “Hey! I think someone could make money off this! I’m not a businessman, but I’m going to get my slice.” So he immediately took out a patent on what he developed, and later he sold that patent to a business, because though he himself did not want to run a business, he still had a sense of what he had on his hands. And the Russians did nothing like that—in fact, they couldn’t in the environment in which they lived. IDEAS: Why not? 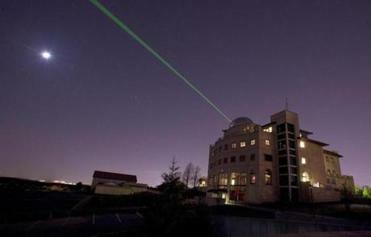 Were efforts to commercialize lasers squelched in Russia? GRAHAM: They weren’t squelched—they never really got going. I interviewed Prokhorov—it never entered his head to start a company. And even if it had entered his head—there was no patent system, there were no investors, he couldn’t have an IPO. All the things that go into making technology economically successful were missing. It was worse then, because it was still the Soviet Union. But it’s not much better now—there’s no real investor community. The angel investors that invest in high technology in Silicon Valley, around Kendall Square, and all that—that doesn’t exist in Russia. IDEAS: Are ordinary Americans different from ordinary Russians in their attitudes toward innovation? GRAHAM: One of the characteristics of American culture is that successful entrepreneurs become almost cult figures—I mean, Steve Jobs, Thomas Edison, Bill Gates. These people are held up in popular culture as role models, and they have almost iconic status. There’s no one like that in Russia. IDEAS: But don’t Russian scientists end up on stamps and so forth? GRAHAM: Sure, they get celebrated on stamps—but they get celebrated as scientists. They don’t get celebrated as technical entrepreneurs. There’s a big difference between someone who works in a laboratory and gets all kinds of accolades, but doesn’t do anything that affects the economy. GRAHAM: The exceptions tend to be in software. Software is easier to make a go of because it’s an intellectual product, not really a material product—it’s something you create with your mind. And if we’re talking about products of the mind, the Russians are pretty good at those—think about the literature and the music and so forth. What they are not good at is inventing a material thing and manufacturing it and making a success of it—that’s what lasers require. It wasn’t enough to just invent it. With software, for one thing, you don’t run into corruption, whereas if you want to try to build something and manufacture something that requires a factory in Russia, or a storefront for that matter, you’re going to be visited by someone who says you really need protection and unless you pay me, your business will be trashed. IDEAS: How much of this is simply the result of the Soviet Union being a system with no private enterprise? IDEAS: That sounds like an example of taking an idea and putting it into practice. GRAHAM: Right. But then listen to this: The Russian government persuaded Yablochkov to come back to Russia after he got rich in France—and to do it in Russia. He came back to Russia, started a company, and went bankrupt—he couldn’t find investors! He couldn’t even get the hotel he was living in to install his lights. They preferred gas lights. IDEAS: Was fracking really developed in Russia? GRAHAM: It’s a very little known story. In the 1950s, Russians developed the idea of fracking, and they published articles about it. And then what happened? Nothing. They didn’t use it. These articles appeared in academic journals. They didn’t appear in business journals, because there really weren’t any business journals! So Americans developed fracking, you know, 30 years later! And now there are American companies over in Russia—Chevron, Exxon, BP—who are teaching the Russians how to successfully do fracking even though the Russians developed the idea. IDEAS: Do you see Russia’s current leaders trying to fix this problem? GRAHAM: I think [some of them] do realize that Russia needs to base its economy much more on what you’d call knowledge industries and much less on natural products, like oil and gas. They know that. And also there is private business in Russia now....But there are still plenty of obstacles. IDEAS: How important is the failure to commercialize science to the way Russia is today more broadly? GRAHAM: I think it’s very significant. There are people in Russia who say—it’s a hyperbole but it’s a fair statement—that Russia’s just Saudi Arabia with nuclear weapons. Russia, right now, despite 300 years of trying to industrialize and modernize, it’s an economy that’s primarily based on oil and gas. It’s a tragedy, and...the Russian leaders keep thinking that the way to solve the problem is by government edict—you know, create Skolkovo, and so forth. I would say that the failure of Russia to adequately use the talents of its scientists and engineers is one of the important reasons why Russia has not been able to make the transition to democracy. Because the government keeps thinking, we’ve got to modernize—but the way they choose to solve the problem just drives the problem deeper. Leon Neyfakh is the former staff writer for Ideas. He can be reached at lneyfakh@gmail.com.